Aquaculture Focus Fish Farming Yearbook and Services Guide will be a high quality full colour A4 reference guide containing informative editorial, industry interviews, facts and figures on aquaculture production and a comprehensive listing section for businesses supplying services to the fish farming sector. 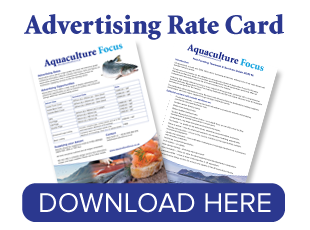 Aquaculture Focus Fish Farming Yearbook and Services Guide offers a wide range of display advertising and advertorial opportunities as well as business profiles and enhanced listings within the classified listing section. Enhanced Logo Listing Includes company logo, contact details and up to 100 word description. Basic Listing Company name and contact details only. Aquaculture Focus is a new concept in communications, marketing & information services for the fish farming industry.